McKellar Machine Products is dedicated to precision machining. 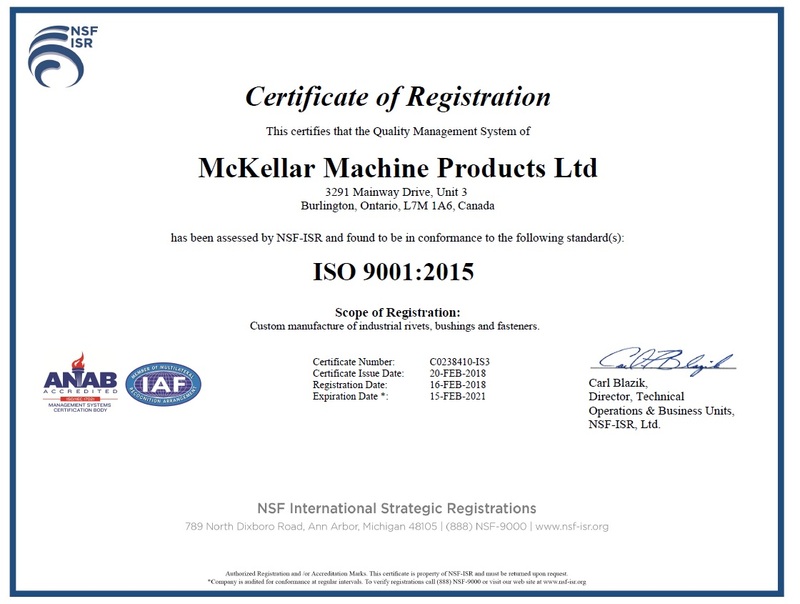 As an ISO 9001:2015 certified manufacturer, our overall culture is that of customer service and delivering absolute quality. Our goal is to become your long-term partner in supplying you with all of your needs in custom components. We plan on doing that by continually exceeding your expectations. We adapt to your processes. We are happy to work with you whether your project will only use 100 units one time, or if it requires prototypes and completion of a PPAP (Production Part Approval Process). We know that each situation is unique. McKellar Machine will accommodate your needs. Since our inception in 1978, McKellar Machine Products has worked with countless customers in a wide range of industries. Our diverse and long-term experience in precision machining components has given us an edge over the competition. 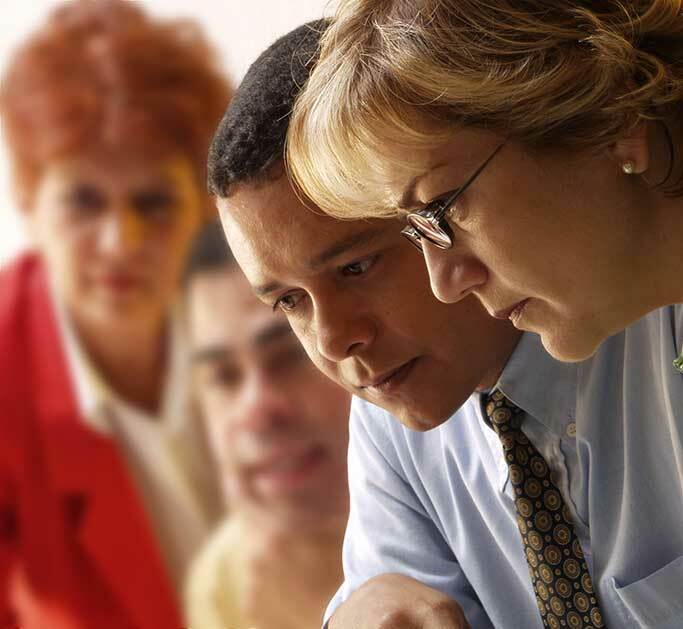 As a family-owned and -managed business, that has been passed from generation to generation, our leadership provides you with unchallenged expertise. Our team culture is to share knowledge, proactively solve problems and keep our customers happy. We take pride in making your designs come to life. If you have a project that requires custom components, give us a call. We will work with you to define the optimal components to ensure the success of your product. Big or small, steel or plastic, McKellar Machine Products has done it all. Contact us to find out how we can help you. 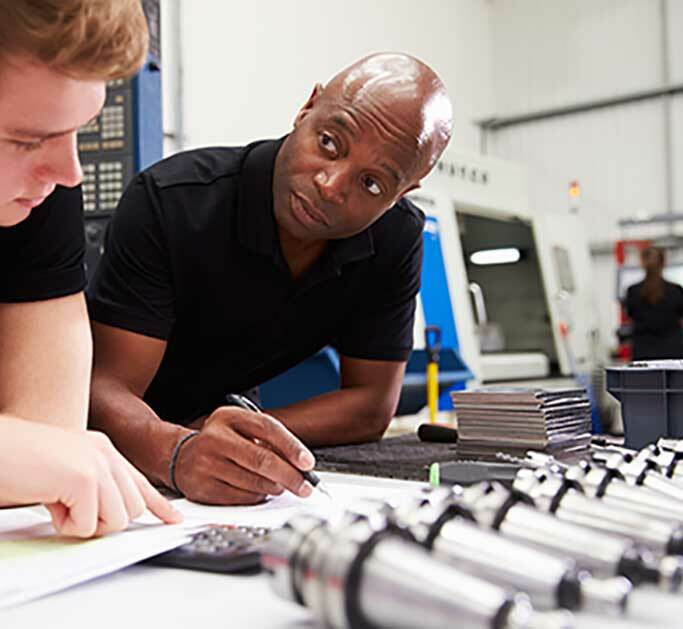 Working together with our customer is the backbone of McKellar Machine Products, so whether you need designs and prototypes or just a precise manufacturer, we know we can help. At McKellar, we have a wide variety of machines, and we’re sure to keep our equipment current and well maintained for quality parts that are always ready on time. Our machines include, Davenports, New Britains, CNC, Drill Presses, Milling Machines and Lathes. 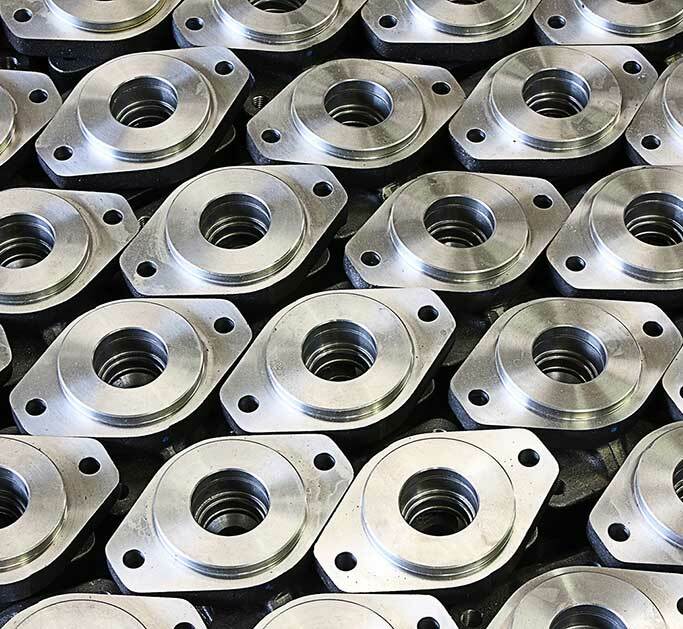 We’re also equipped to manufacturer components in a variety of materials, and our quality components are always made to our customer’s unique specifications. Our materials include but are not limited to, steel, brass, stainless steel, aluminum and plastic. Contact us now to get production rolling on your components! We are ready to assist you on your project. Let us know what you need.